The 0.080 in. Dual Line Replacement Spool is a thicker, longer lasting line. It fits the Toro<sup></sup> PowerPlex 40V Max* 14 in. 40-Volt Trimmers (51482 & 51482T) with autofeed. Three replacements spools in each package. Three replacements spools in each package. The Homelite Consumer Products Ryobi 0.080 in. 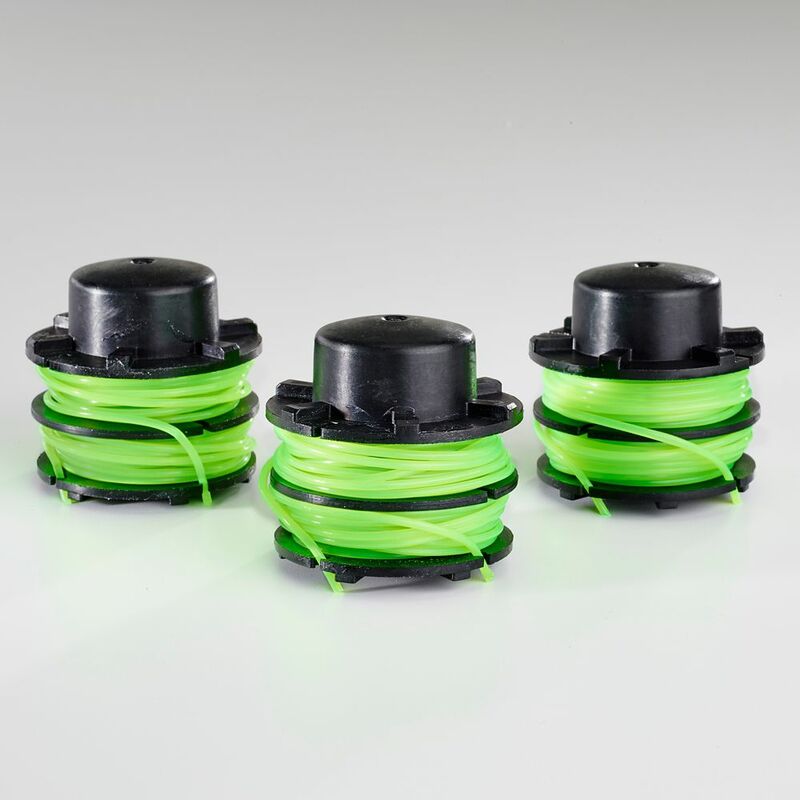 Replacement Line on Spool is designed to replace worn line for Ryobi and Homelite trimmers. The line is weather resistant and includes a spring. The 0.080 in. Single Line Replacement Spool is a thicker, longer lasting line. It fits the Toro<sup></sup> PowerPlex 40V Max* 13 in. 40-Volt Trimmers (51481 & 51481T) with autofeed. Three replacements spools in each package. PowerPlex 40V Max 0.08-inch Dual Line Replacement Spool for 14-inch 40V Trimmers (3-Pack) The 0.080 in. Dual Line Replacement Spool is a thicker, longer lasting line. It fits the Toro<sup></sup> PowerPlex 40V Max* 14 in. 40-Volt Trimmers (51482 & 51482T) with autofeed. Three replacements spools in each package.